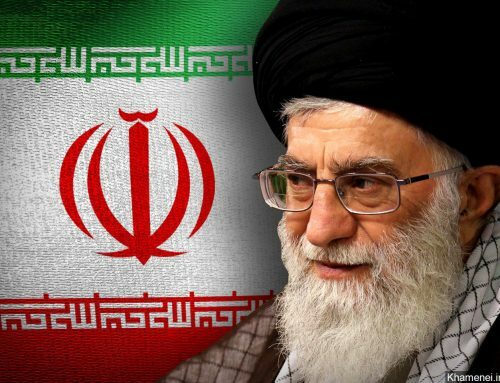 The two alleged Iranian spies arrested in the U.S. on August 9, 2018 were not just gathering intelligence on Americans and Iranians who oppose the regime. That intelligence was apparently to be used for attacks. Ahmadreza Mohammadi-Doostdar, an Iranian with dual U.S. citizenship, and Majid Ghorbani, an Iranian national with permanent U.S. residency, were charged with acting as agents on behalf of the Iranian government in federal court on August 20, 2018. According to the FBI affidavit, Doostdar and Ghorbani were preparing alleged “target packages” on individuals who posed a threat to the Iranian regime on American soil. Doostdar and Ghorbanin ran surveillance on Jewish facilities and events in the United States in support of Mujahdein-e Khalq (MEK), an exiled Iranian resistance group that advocates for the complete overthrow of Supreme Leader Ali Khamenei and his Islamist regime. Reporting by the Clarion Project shows that the Iranian regime and its Hezbollah terrorist proxy have an infrastructure in the U.S. it can use for such operations. We recently identified three mosques in Michigan that are linked to the Iranian regime and promote its radical ideology. In 2013, we reviewed grants given by an Iranian front group named the Alavi Foundation that funded over 60 Islamic organizations in America, as well as 30 universities in the U.S. and Canada. In August, a congressman called for an investigation into Iranian funding of American universities and colleges. These operations are happening at a time when the Iranian regime is in dire need of cash and trying to escape international sanctions. It cannot afford to spend money on intelligence operations without an important purpose. 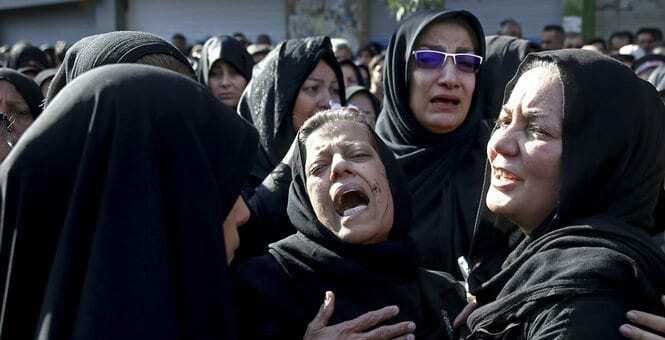 Since it is understood that preparing attacks on U.S. soil at this time is an especially risky endeavor, this means that the Iranian regime was very serious about preparing attacks on these targets—so serious it was willing to make the investment and risk a measured response from the Trump Administration and the international community if detected. The big takeaway here is that the Iranian regime must be terrified of the anti-regime Iranians in the U.S., so much so that it is willing to take enormous risks to kill only a tiny portion of them. If the regime is terrified of the Iranian opposition in America, then we should make supporting these secular-democratic Iranians our highest priority. Charges against Ghorbani and Doostdar come amid other foiled plots targeting Iranian dissidents abroad. In March, two Iranians were arrested in Albania for planning to attack Iranians who opposed the regime. In June of this year, authorities in Europe foiled what they believed was to be a bombing attack on an enormous Iranian opposition group conference outside of Paris. Assadollah Assadi, an Iranian diplomat in Vienna who was arrested in Germany, was believed to be behind the attack along with two people from Belgium who were arrested with homemade explosives and a detection device. Clarion Project spoke to one of the potential targets in the United States who is named in the affidavit, Alireza Jafarzadeh. Jafarzadeh is best known for exposing secret Iranian nuclear facilities. He tied the operations of these alleged spies to the current uprising in Iran. “The regime feels very threatened by the organized opposition, the MEK network. The regime basically considers us the engine behind the protests. Resistance units on the ground in various cities, they risk their lives, and pay the price,” he said. He touched on how some things fly under the radar in the U.S. when it comes to the Iranian government and how that facilitates the regime’s operations. While the details of Ghorbani and Doostdar’s training are unclear, there are some clear signs in their use of tradecraft (espionage techniques). 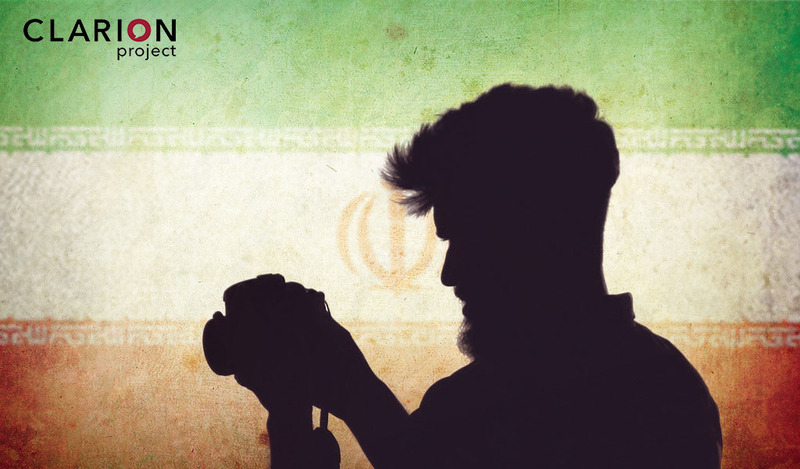 Clarion talked to novelist JT Patten, a former intelligence specialist and expert on Iran and it global covert activities. Patten mentioned that an elite unit inside of the Iranian Revolutionary Guard Corps, the Quds Force, likely directed the operations. “So, in actuality, it’s textbook MO, and can easily skirt sanctions and many higher-level preventative measures,” Patten added. “There are large Iranian expatriate communities around the U.S. When I worked in San Francisco, one of the largest was nearby in the southern part of the Bay Area. Los Angeles also had a sizable community. “The vast majority in each community were law abiding citizens, but we always worried that a few individuals, particularly travelers, could use their familiarity with those communities to hide illicit activities. “We were particularly concerned that the Iranian government could use those illicit activities to raise cash, procure sensitive technologies, identify and target dissidents or recruit new assets,” Montoya said. Apparently, one of the Iranian regime’s potential targets was Jewish centers for university students in Chicago. Doostdar arrived in Chicago in July after visiting Iran. The FBI, who was watching him, saw him meet with an unidentified woman at the Oriental Institute Museum. When Doostdar left, the woman was seen folding a piece of paper. No woman has been charged in this case, so if she is involved in the Iranian operation, then she is still out there. After leaving the meeting, he took out his phone and took pictures of two Jewish community centers, the Hillel Center and the Rhor Chabad Center. His photos were consistent with the surveillance necessary for conducting attacks, as he took pictures of the front and back of the buildings, including an iron gate. The Iranian spy clearly did not want to be seen taking the pictures. “He also appeared to look into cars and the reflection of store windows as he passed by, consistent with checking for surveillance,” the affidavit reads. Apparently satisfied that he wasn’t being followed, he continued with his surveillance activities. His counter-surveillance methods continued when he met with Ghorbani a few days later in California. Just as happened with the earlier meeting with the woman, a piece of folded paper was exchanged. After the meeting, he continued to implement tradecraft espionage techniques, such as acting like he was walking to one location and then suddenly making a change in his route and buying drinks at different gas stations in the area. Spying on the Iranian Opposition in New York & Washington, D.C. In September of 2017, Ghorbani went to New York to attend a MEK rally. At the event, he photographed a number of participants in attendance. Afterwards, he returned to California. By that time, Doostdar was already back in Iran. In December of 2017, Doostdar flew into Chicago, where he was stopped by customs agents and presumably searched. He was in possession of $6,000, a notebook and two USB drives. The affidavit states that one of the drives was hidden in a toy keychain. When asked about any contact with individuals in California during his recent trip, he denied any connection to anyone in the state. He then returned to California to meet with Ghorbani again. During that exchange, they discussed leading members in the MEK and the rally in New York. 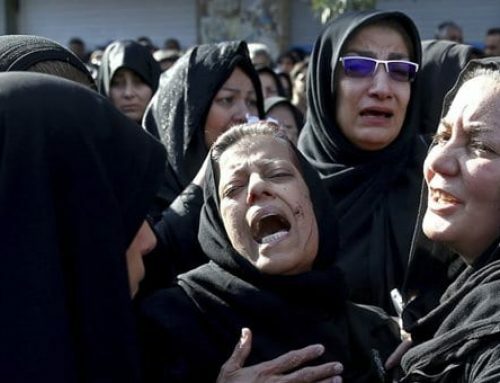 Specifically named in the surveillance recordings were Alireza Jafarzadeh, the deputy director of the National Council of Resistance of Iran, and Ali Safavi, who sits on the council’s foreign affairs committee. Ghorbani then printed out photos at a CVS store and placed them in a white and orange envelope. When Doostdar’s luggage was searched at the Los Angeles Airport, the envelope was discovered with photos from a #FreeIran protest, along with a note that confirmed he paid Ghorbani $2,000. A search of Ghorbani’s apartment in March yielded notes written in Farsi with the names of people in the MEK. But Ghorbani’s activities were not done at that point. In May, he attended the 2018 Iran Freedom Convention in Washington, D.C. He had managed to infiltrate the group, participating as a member of the California delegation. At the convention, he sat near the stage. According to the affidavit, he was seen with his smartphone out and the lens pointed at the one of the speakers, former New York City Mayor Rudy Giuliani, as well as at the crowd. The FBI concluded that both Ghorbani and Doostdar were acting on behalf of the Iranian government as foreign agents. There is little information about Ghorbani and Doostdar outside of the FBI affidavit. Ghorbani’s attorney, Mary M. Petras, says his statements under surveillance were taken out of context and that he has worked as a waiter at the same restaurant for a decade, according to a report in The Washington Post. A report from the Chicago Maroon lists Alireza Doostdar, an assistant professor in Islamic Studies at the University of Chicago’s Divinity School as Doostdar’s brother. Alireza has not made any comment to the media since his brother’s arrest, and his Twitter account, @docstobar, is private and locked unless he accepts you as a follower. More details may come in this story, but what is for sure is that it will not be the last covert op against the West to come out of Tehran.